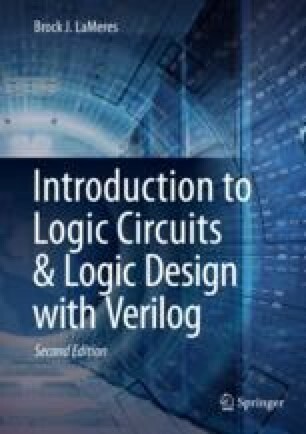 This chapter introduces a group of combinational logic building blocks that are commonly used in digital design. As we move into systems that are larger than individual gates, there are naming conventions that are used to describe the size of the logic. Table 6.1 gives these naming conventions. In this chapter, we will look at medium- scale integrated circuit (MSI) logic. Each of these building blocks can be implemented using the combinational logic design steps covered in Chaps. 4 and 5. The goal of this chapter is to provide an understanding of the basic principles of MSI logic.